Billionaire entrepreneur Richard Branson is known around the world almost as much for his publicity stunts as his corporate (Virgin Airlines) pursuits, philanthropy and epic adventures. In a recent hour-long conversation in Australia, he described the need for all good companies to have a PR person: “The head of PR is perhaps one of the most important people in a company and a good chairman will have them by their side. They are critical for managing the brand and save millions in advertising; people talking about your company is much more important than anything.” Naturally, I agree. To be honest, I like this blog. Thank Professor for letting me learn more something new. I totally agree with Richard Branson that the need for all good companies to have a PR person, and investing in PR saves millions in advertising. In my opinion, PR professionals play a significant role in helping companies develop effective communications plans and deal with a variety of crises. The PR professionals usually have more professional skills to respond the public, and can strengthen community relations, increase an organization’s effectiveness and reputation. According to this article, “PR professionals are critical for managing the brand and save millions in advertising.” In addition, I remember the blog named “Viral Sensations,” it states that in a recent update, McDonald has confirmed it will offer Charles Ramsey, the hero who helped save three women held in captivity in Cleveland, free burgers for a year. (Handled very well by their PR team). From this point, I have to say McDonald definitely has a good PR team, because Charles Ramsey has quickly become an online hero, this free offer is really a good advertising, helping improve this company’s image and reputation. I also agree that having a PR on board saves millions on advertising and just having people talk about the company is way better than anything else. PR is the best advertising a company can have. PR deals with the impression your client/employer makes; it’s all about reputation. A company that has great reputation is key now a days. Good reputation of a business is essential to its survival. The trust and confidence of the consumer can have a direct and profound effect on a company’s bottom line. I like the point Irina makes here, PR saves organizations money. I think PR can be overlooked and underrated in many organizations. Many companies might feel that they don’t need a PR specialist, because a lot of PR work is “common sense”. However, what many businesses fail to realize is that a good reputation is the livelihood of their work. Thus, I really agree with what Virgin Air’s CEO is stating her about the importance of PR. Every CEO of every company should have an expert and trusted PR person by their side in order to truly be successful. We have seen many businesses that went underwater due to poor PR practices, and a bad reputation. Reputation is everything in business, which is why PR is vital. With every business being dissected by the public after every scandal and mishap, a PR representative can make a break a company. It’s true that these days companies are scrutinized more than ever, and having a good reputation with the public is truly what every successful business places an emphasis on. That’s why these companies are so keen to garner the support of the public by doing charitable and benevolent things for the world. They aren’t usually doing these things purely for the good of the act, but with some minutia of interest in the positive publicity. PR does save a lot on advertising, not just by having people talk about the company in a good way, but by having a PR that knows how to delegate the company and what it stands for, therefore, for future potential crisis’, the company’s PR has an already established credentials with the publics and to the people. The word of mouth is huge, and free advertising. If one has the right person representing the company, Richard Branson states that delegation is key in success in the company, and I completely agree. Sir Richard Branson is one cool dude. His campaigns have always been fresh and simple. In the article it talks about how Branson understands that having money doesn’t change people, you can just use it to do more things. The writer of the article also uses some phrases to give insight on that they thought Branson’s speech was lack luster. 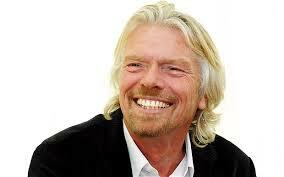 Phrases like “very tame or subdued side” or “uninspired by his questions.” Well, maybe Mr. Branson was tired. One key message that Branson mentioned was “business should be a force for good and tackle social problems.” Currently, I don’t think a lot of businesses consider this idea. But, I feel as more companies recognize the importance of having a PR professional, this concept will receive more attention. PR is very important to the survival of all companies. Advertising is also essential to the success of the business. PR professionals help companies create a great communication strategy. The positive part of PR is that in most cases it does not need funding from companies. Promotions, trade shows, etc are all simple and easy ways to create public relations. Trade shows have shown to be one of the most popular forms of PR specifically because people enjoy the social setting aspect of the function. It is important for PR to know how to show understanding of the organization. Understanding the organizations main goals is important to the success of PR. As mentioned earlier Richard Branson mentioned that delegation is key to success in a company and I could not have said it better. Without a clear understanding of the company and it’s objectives and someone to delegate tasks to the employees a company will have a hard time succeeding. Thank for bring this guy up. Recently, I just read news about his guy. Among those founders, he is the one catch my eye the most. Not like most CEOs, who always dress and behavior in decent way, which makes me feel boring, he never shy away from publicity stunt. In this recent news, Virgin Group founder Richard Branson, made the eye-popping appearance after losing a 2010 Formula One auto-racing bet to pal and AirAsia CEO Tony Fernandes. Branson finally made good on the bet this past Sunday, donning a blazing-red shade of lipstick and shaving his legs — but not his beard — before serving passengers on a six-hour AirAsia flight from Perth to Kuala Lumpur. Sometimes it takes an innovative business leader such as Bill Gates or Richard Branson to bring up an issue like this in order for industry leaders to finally take notice and take action. As PR students we are all now well aware of the need for PR professionals but clearly there are many industries still catching on. “The head of PR is perhaps one of the most important people in a company and a good chairman will have them by their side.” It’s an excellent idea for every chairman to have PR professionals on their side. PR professionals are value to the company not only because they create free form of advertisements, also, they are good at problem solving and handling crisis. I agree with Richard Branson mentioned that the PR is one of the most important people in the companies, and invested in PR saves millions in advertising because PR professionals play an important role in helping companies develop effective communications plans and deal with a variety of crises. The company’s reputation is most important because it is not much money can buy it. I agree. I think it is better to have the right face and message out front right away than to have to spend time and money in advertising trying to get back what you lost before. It’s been clear in recent years that PR is gaining a lot more attention. It’s an interesting role because it is so versatile. It can be used in a lot of different situations and can be cheaper than traditional advertising. It’s exciting to see the role get more and more recognition. Richard Branson’s point is very true. In this very information-driven age, PR comes to play in almost any situation. Investing in PR not only helps PR, but it also plays off of what is invested in Advertising. Any successful firm must take both into consideration when dealing with reaching the consumer. So very true! Earned media versus paid media. I believe that earned media is much more valuable (if positive of course) than paid media. I can pay anyone to make a statement about a product, but having the public talk voluntarily about my product/company is something that is priceless. And just because of that, the PR professionals are like the seven senses of the company; PR professionals will “sense” public attitudes, evaluate them and then develop plans for action to earn the respect of the public through communication and action. Each and every company needs a PR department. I totally agree… No matter how much money companies spend on advertising it doesn’t mean they reached their target audience. I think the only way people engage with a brand emotionally is when they interact somehow with it using social media and public relations. It’s how you make them loyal to your brand, which is what every company wish for. I totally agree with Richard Branson because Public relations offers several advantages not found with other promotional options. First, as a consumer PR is often considered the most credible form of promotion. It helps when establishing credibility and building a brand’s equity for a product. As a consumer, I think that a positive story about a new product in local newspapers will have greater impact on me than an advertisement for the product. I think that it is a rather genius idea… this gives him all sorts of outlets to use to his advantage. PR is great for a company especially when the company isn’t doing anything to hurt their brand image so ultimately its great advertising for Virgin. This gives Richard the opportunity to keep the public up to date with what is currently going on within the business. I couldn’t agree more with his final statement in regards to the best advertising is to get people talking about your company and the utilization of word of mouth. Management of a company’s brand is critical in order to retain customer retention and customer loyalty. I agree with his opinion. PR can save a lot of money more than the company advertise so as he says “The head of PR is perhaps one of the most important people in a company” it is very true. in ordet to manage brand and save money PR person should be important person in the company. It is so true. PR can tell you what is the right thing to do, eventually you done the right thing as the chairman of a company. At last, you will not have any extra expanse for this company regard to this right decision you have made. Vice versa if you ignore the suggestion from PR and done the wrong thing, you could end up with extra million of million spend on recovering your publicity. The head of PR has the ability to completely mold the way that the public sees a company. PR is essentially unpaid advertising. Any company could use more of that. The problem is that I feel most companies have no idea how to get good PR. Companies are often trying to sweep up their tracks and keep in good public opinion. Companies are so afraid of bad PR that they stay away from it as much as they can. Virgin Airlines embraces it and uses it for their advantage. This is definitely a concept that many small businesses could recreate. Love this guy. He takes PR seriously, and has cultivated a brand image for himself as a really likable, eccentric innovator. PR takes a certain level of self awareness and gravitas, both of which Branson has. I agree that PR is more and more important as people shy away from advertising more and more as they determent those as lies. If we are honest we all enjoy all the funny clips and love how company come up with more clever and unexpected ads but that doesn’t really gets us to buy anymore. PR’s importance is changing, according to The Fall of Advertising and the Rise of PR (HarperBusiness) – public relations has become the most effective way to build a brand. Well-known brands spend little on brand-name advertising. Business owners become known in their respective fields mainly for attentiveness and great behavior or leading in doing “the right thing for everyone” (Chipotle comes to mind from this week’s announcement to not using any more GMO’s in their food). PR is communication in many ways with the assigned target market. That doesn’t mean that those company’s don’t address new product, spreading news about their company or making a major announcement but it is in a less pressure full way. Most companies today seem to only want to communicate publicly, to potential prospects, customers or investors, in the case of a partnership or a public company – all in their own better interest. PR seems to be a bit more different and showing what the company is doing in a more natural way which can show you the consumer the benefits and not just show of the company. The bottom line is to get word out about the company, the products and services to those who could potentially buy from you and want to be informed of your movement. Public relations can create a good PR in the first place and can help a company being informed about what to do in cases of a unexpected incident that would usually hurt a company’s brand name. Having a PR person in a big company is very important. In some situations it can save millions in advertising. If a company strategizes around getting publicity as a form of advertisement, they could potentially save even more. There are companies that do this. With advertising costs as much as there are now days, it is starting to make more and more sense for more people to go into the field of PR. After taking this class, and especially after reading this article I am very interested into doing PR work myself. Richard Branson is obviously doing something right if he successful in so many facets of business and him putting an emphasis on the importance of PR further convinces me of the importance of this role in any company. Before taking this class I had no idea what a PR person’s roles were within a company and after learning about it, I would love to at least take an internship in a PR position. I wish they would offer a PR minor or certificate at Portland State! Branson is correct in saying the PR can save a company millions in advertising expensive because of the positive conversations it creates. Positive word of mouth is rare and, in a social media age, the biggest influencers are the people in our own networks. As an advertising major, I feel obligated to point out that he doesn’t say PR replaces advertising completely. This article had other important messages too, like the power of positivity. I liked Branson’s quote, “If you criticize someone, take a look in the mirror.” He is clearly an entrepreneur who creates products to fit the needs of people; and in that sentiment, he takes the time to understand people. Most businesses build the product first and then try to discover how it relates to people. He’s pretty smart. I don’t know much about Branson or Virgin Airlines for that matter, but solely based on what he said, I would have to agree. The people of today ultimately decide what they like and don’t like and most of the time it reflects something the business has said or done and how it involved the public. Having someone apart of the business that understands how to effectively talk to different people and their demographic profiles could ultimately help make a business sustainable. I couldn’t agree more than his statement mentioning advertising. The most important aspect of presenting your product, is what people think of it. Yes, advertising will inform and educate, but nothing will affect a consumer more than what is being said about a company and/or product. I definitely agree that it is essential for businesses to have public relations as it brings so much to the company. PR can expand brand awareness, maintain strong customer relationships, take care of problems in a proactive and reactive way, and provide a good way to represent the business. Of course, nowadays where everything and everyone is connected and news travels fast, a PR person is extremely valuable. Brand image is a very large portion of its success, and a PR person helps manage that. It is important for any company or organization to have someone helping them navigate current trends, important events, and social issues. I think speaking and acting using common sense should be all that is needed for success in this area, but a surprising amount of businesses lack this basic trait or act selfishly. I agree with what Richard Branson said. The world is filled with advertising, so many people are tired of countless advertising surrounding them. In the situation, gaining attentions of people by advertising is really difficult thing. Companies to spend a huge amount of money and need be very creative. If a company goes into the battle, it need to think again about what PR can do for the company. PR is not as expensive as advertising and usually sustainable. Companies that spend a huge amount of money on advertising need to think about PR again. I completely agree with what is said in that article. PR can help you to create a true relationship with your consumers, it increases the brand awareness and the confidence people have in it. It’s great to use PR in a proactive way and not only to handle a crisis, better preventing than repairing ! The best publicity your company can get is positive word of mouth. It is so much more effective than advertising, because it comes from a source that the person knows and trusts. And they will deliver your message so much better. Branson has built his brands on being smiling, happy and successful and adventurous, and for millions of people when they think of Virgin, they think about the man behind it. In large part this is because of good PR. He’s saved himself so much money by getting others to talk about him, by being different. Once I heard someone say that “Advertising is a tax your company pays for not being interesting” or something like that. I bet Branson would mostly agree.